This polar bear photo safari provides the best possible opportunity and environment in which to capture images of the world’s largest living land carnivore. 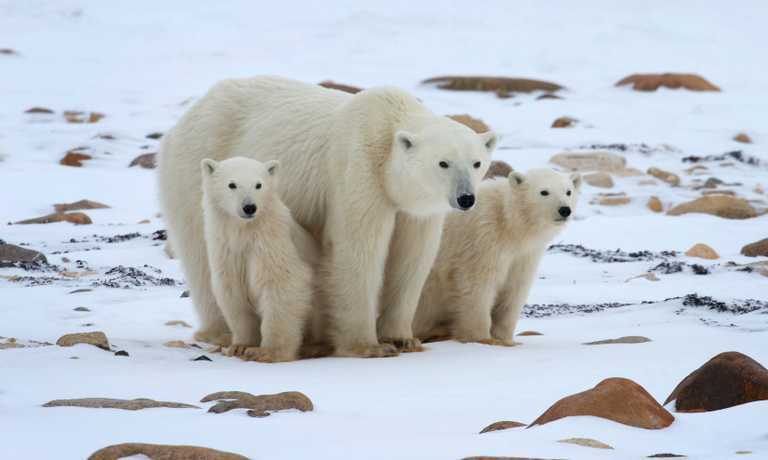 Three full days out on the tundra, near guaranteed sightings and the chance to observe these majestic animals from a close, but safe proximity all provide unrivalled encounters. Arrive in Winnipeg, a former fur-trading post and boomtown for the Canadian Pacific Railway, which today is the provincial capital of Manitoba on the eastern edge of the prairie. A transfer is included to the historic Fort Garry Hotel, a prestigious Winnipeg landmark that dates to the opening of the Canadian West. Meet your Expedition Leader and fellow travellers at an orientation dinner this evening. Fly to Churchill this morning. This hospitable outpost town, originally a fur-trading post, is your base for adventure. 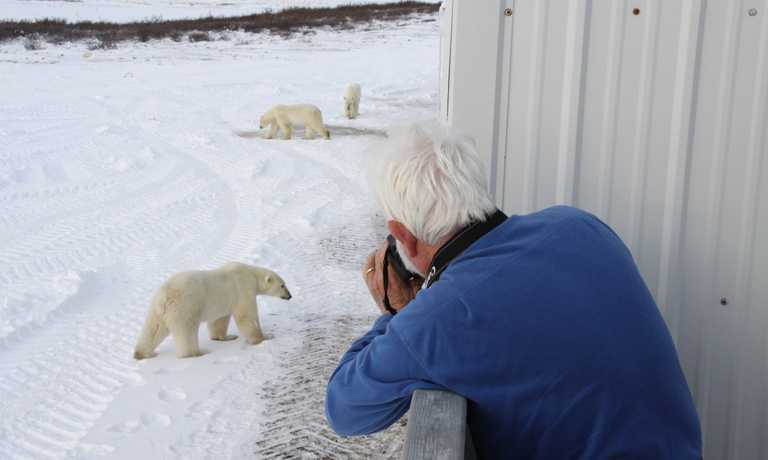 This evening, enjoy a lecture on Arctic photography and the northern environs by your Expedition Leader, who is both an accomplished photographer and seasoned naturalist. 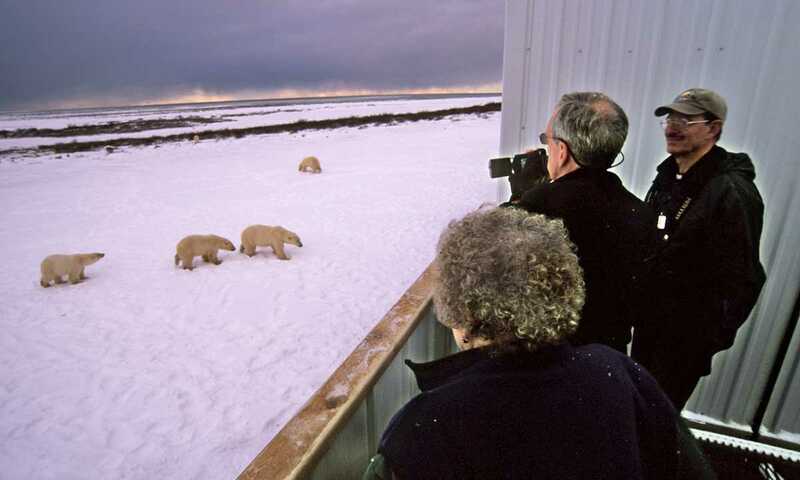 Rise early to board the custom-designed Polar Rovers, which allow you to get within prime photography range of the polar bears. Although each vehicle accommodates up to 35 passengers, there'll be a maximum of 16, ensuring that everyone has a window seat, space for camera gear and plenty of room to shoot. For three full days, you spend your daylight hours on the tundra, photographing polar bears as they roam the edge of Hudson Bay waiting for the ice to freeze. From the warmth of the Rover, we may see mothers with cubs and young adult males play-fighting. A large adult male may turn his attention toward the vehicle, sometimes approaching within feet or even lifting his massive paws onto the side of the vehicle to peer inside. Out on the white expanse of the tundra you may also spot other northern wildlife, including Arctic fox, snowy owl, ptarmigan and gyrfalcon. Meanwhile, in addition to sharing photography advice, the Expedition Leader provides a captivating interpretation of the animal behaviour and natural phenomena you are observing. Each evening, as dusk descends upon the wild northern landscape, you meet for dinner and presentations on photography, wildlife or local native cultures. If the night skies are clear and you're fortunate enough to see the dancing colours of the Aurora Borealis, head for a place away from the lights of town to capture this magical event on camera. The return flight is scheduled to depart in the mid- to late afternoon to offer as much time as possible to explore Churchill today. Those who wish may opt to visit nearby Cape Merry, a promising spot for photographing fox, hare, and Arctic birdlife. Or, stay in town for some last-minute shopping to pick up native handcrafts and souvenirs. Other optional adventures available this morning include a dog-sled excursion and helicopter flight over the tundra. 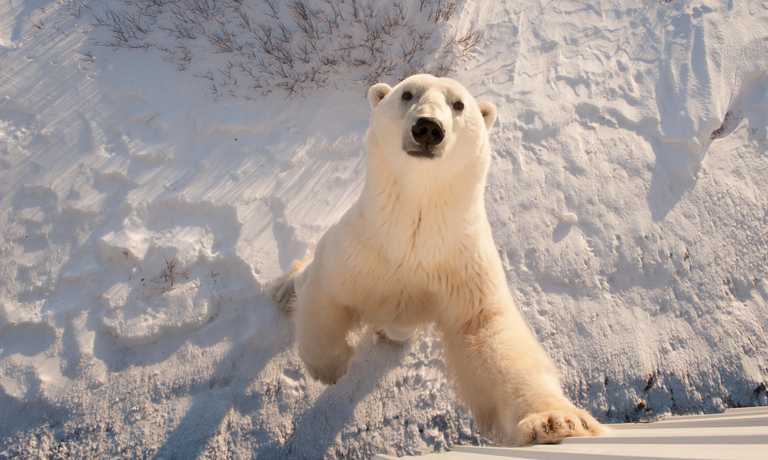 Enjoy a farewell lunch in Churchill and an evening reception together in Winnipeg. Departure dates are confirmed 10 months in advance. This means that they could move by a few days in either direction. To secure your place(s) we strongly recommend that you book ahead now, but that no concrete pre- and post- arrangements involving flights, hotels or other adjacent plans are booked until we confirm the exact dates. The physical requirements for this trip are very easy and there is little walking required, although travellers must be able to walk up/ down short flights of stairs to get on and off the Polar Rover. Travellers must be prepared for below-freezing temperatures and slippery surfaces.